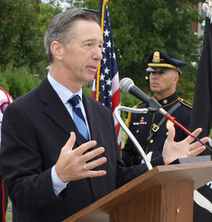 Congressman Stephen Lynch, who has read 28 classified pages said to describe links between Saudi officials and the 9/11 hijackers, today suggested that information in the pages may embarrass the U.S. intelligence community. “I think that those individuals (in the intelligence community) don’t want this to come out,” continued Lynch. “They don’t want the facts to come out because it may reveal terrible, terrible errors on their part and they may bear part of the blame” for failing to prevent the worst terrorist attack in U.S. history. Lynch’s remarks about the intelligence community seemed to echo a previous statement by former senator Bob Graham, who co-chaired the joint congressional intelligence inquiry that produced the 28 pages as the final chapter in a report spanning more than 800 pages. Lynch’s statements today—far more pointed than Graham’s—seem to move that notion decisively away from the category of speculation. Today’s press conference was called to promote House Resolution 779, which urges the chair and ranking member of the House intelligence committee to publish the 28 pages into the Congressional Record, relying on the protection from prosecution afforded by the Speech or Debate Clause of the U.S. Constitution. Introduced last month, H.Res.779 offers a new angle of attack for Capitol Hill’s declassification advocates, who are led by Representatives Walter Jones, Lynch and Massie. A separate resolution—H.Res.14—urges the president to declassify the 28 pages and has attracted a bipartisan mix of 70 cosponsors. Jones said that, next week, he, Lynch and Massie will send a letter to Devin Nunes and Adam Schiff, the chair and ranking member of the intel committee, urging them to schedule a hearing on H.Res.779 immediately upon the House’s return from summer recess on September 6—just days before the 15th anniversary of the attacks. Both Nunes and Schiff have previously voiced their support for releasing the pages. While voicing their hope that President Obama will make good on his reported assurances to 9/11 family members that he would release the pages—and promptly bring to a conclusion a review of the 28 pages that the White House claims has been in progress for two years—the representatives underscored their conviction that Congress has the power to release the pages on its own. 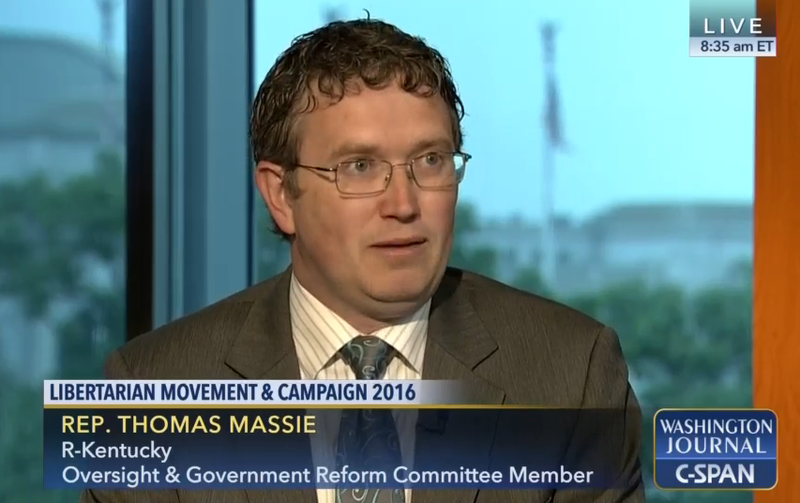 Massie concurred. “Congress has possession and ownership of these documents…we have the power to release them right here in this building. We don’t need to appeal to anybody else,” he said. As part of a congressional report, the 28 pages are kept in a secure facility beneath the U.S. Capitol. That scenario seems remote: If the intelligence committee were amenable enough to actually grant the trio unprecedented permission to remove the pages from behind locked doors, it seems likelier it would go ahead and formally publish the document without the drama of having them read on the floor. If the president and the intelligence committees cannot be persuaded to release the pages, a more plausible Speech or Debate Clause scenario may entail the representatives revealing key information from the 28 pages by speaking about it from memory.